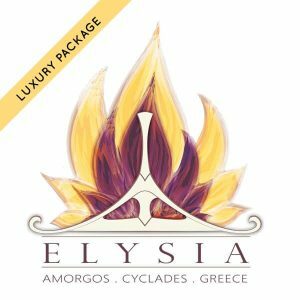 1- How do i register for Elysia Yoga Convention 2019? You can register by filling out our online authorization form with all the required information. Click here to fill out the form. 2- How do I make my 50% deposit and pay rest later? You can make your 50% deposit by contacting us directly, either through e-mail [email protected] or by calling Aegialis Hotel & Spa at +30 22850 73393. Full payment will be due by February 28, 2018. We accept all major credit cards (Visa, Mastercard, Amex), paypal, and wire transfers (additional fees for paypal and wire transfers must be paid at customer's own expense). 3- How do I get to Amorgos? From Athens airport, you have the option to take Blue Star Ferry from Piraeus Port to Amorgos on the 28th at 17:30. We at Aegialis Hotel & Spa can assist with the booking and travel arrangements as well, to contact us please click here. 4- What is included in the package? • Delegate File – including programme, abstract book etc. 5- What is the cancellation policy? For any cancellation that will take place at least 3 months before ELYSIA's starting date, January 29, 2019, the full amount will be refunded and there will not be any cancellation fees. The only amount that will be charged with is any expenses made for the return (Bank expenses, post fee or any other expenses). For any cancellation that is made after that period, no refund will be given.